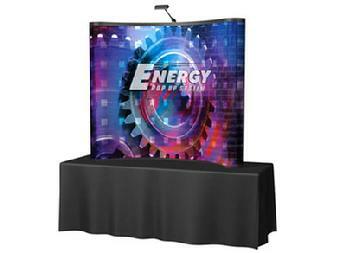 Get Your New Jersey Trade Show Displays for Less! If you plan on marketing at a trade show in the near future, you are going to need trade show displays that grab the attention of attendees and highlight what your enterprise has to offer. 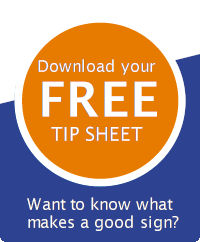 The success of your business at an event will depend on the quality of your exhibit. 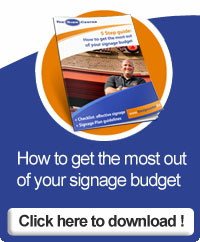 Fortunately, The Sign Center can assist you with low-price trade show displays for New Jersey. 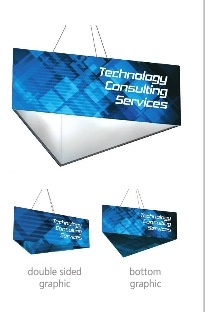 The most requested style of graphics signage found at trade shows these days is the pop-up display. Our pop-up booths spread the message about your products and services loud and clear. In addition, they are portable, simple to assemble, and lightweight. We can assist you in putting together a complete package that maximizes your exhibit space and unifies your presentation. 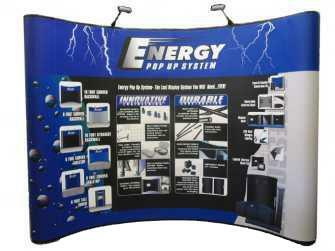 Our top of the line ten foot pop-up display is only $1650. If you travel frequently, these are the best alternative for you. Our tabletop pop-ups are easy to set up and lightweight. Our 95 inch by 59.5 inch model can be shipped via UPS or travel with you as airline baggage. It comes complete with a deluxe hard case and halogen light. For the perfect balance of stability, strength, and portability, the frame uses half inch round extruded aluminum. Using your design we can create full graphic displays. Our price for the complete package is $870. For our smaller tabletop pop-up, which seamlessly transforms from a carry-on briefcase to a four foot by two foot fabric covered display in seconds, we only charge $295 with the header included. Your backdrops and table throws should look alike. You will get a harmonious look that is aesthetically pleasing and interesting by keeping the custom prints and colors the same. You can use table throws for indoor and outdoor events. A boring table instantly becomes a brand building tool. They are also useful for concealing the ugly brown boxes you use to transport your marketing materials. You will likely have a booth in one of the less appealing areas of a convention if it is your first time exhibiting. Do not worry! You can typically hang banners at trade shows. These markers are an excellent way to get attendees’ attention and draw them to your exhibit. 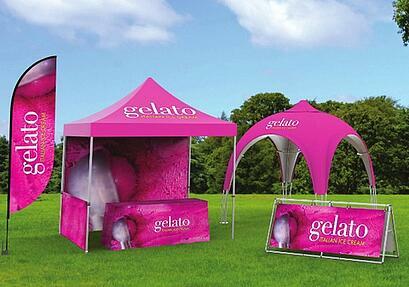 If you plan on doing any outdoor events, you need these easy to transport and setup displays. In fact, you can also catch the eyes of conference goers indoors as well with a ten feet by ten feet canopy tent featuring your branding. They come in an array of colors and comfortably fit five people. Are you unsure about what you will need for your upcoming trade show? The Sign Center has you covered. When you call us, we will listen carefully to your goals for the convention. We will then make recommendations based on your vision and budget. Once you are happy, we will get down to work creating your new budget-friendly trade show displays for New Jersey. Give us a call today for a free consultation and estimate.